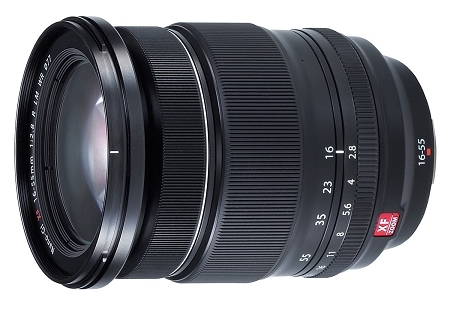 The FUJINON XF16-55mmF2.8 R LM WR is a weather-resistant standard zoom lens with a 24-84mm equivalent focal range that offers users the classic zoom range with a constant F2.8 in the market today. The XF16-55mmF2.8 R LM WR uses 14 sealing points for a durable, weather-resistant and dust-proof design that make it the perfect companion for photojournalists who do not want to compromising when weather conditions are the most challenging. The XF16-55mmF2.8 R LM WR also uses the newly-developed Nano-GI (Gradient Index) coating technology to effectively inhibit ghosting and flare, producing clear images from edge-to-edge. It uses a light weight Internal Focusing System and a Twin Linear Motor for high-speed autofocus (AF) and whisper quiet AF as fast as 0.06 seconds.